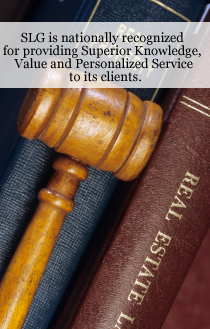 SLG handles both transactional and litigation matters. SLG counsel will prepare and review commercial leases–office, retail, industrial, NNN–for landlords and tenants. SLG repents a wide variety of commercial landlords and tenants and is up to date on current market conditions and issues facing landlords and tenants i.e. ADA, SDNA, operating expenses and premises construction. SLG also advises commercial landlords and tenants during the tenancy in response to issues that arise. SLG is also able to assist its landlord and lender clients on issues that arise if there is a bankruptcy relating to a commercial loan or tenancy, avoiding the need to interpose different counsel for the same tenant issues.